Today marks 1 week until the stamp shop closes for Christmas, so I thought I'd end this amazing year with a GIVEAWAY! You must be a U.S. resident over the age of 18 to win. Winner will be notified via email and package will be sent via USPS First Class. 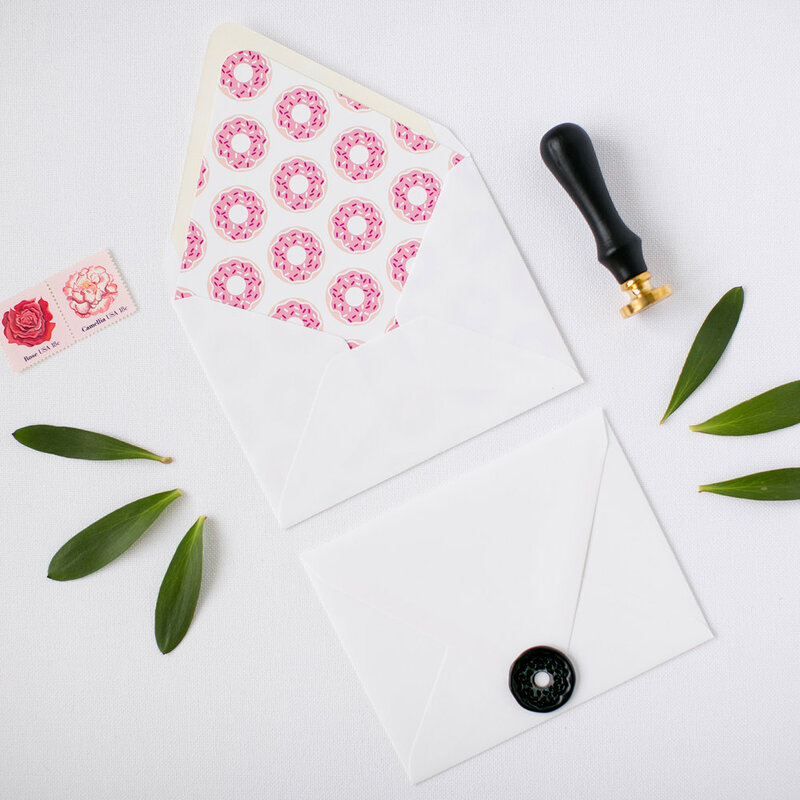 The prize includes 1 wax seal stamp, 3 wax sticks, 1 clear stamp, and 1 envelope liner kit. Giveaway closes on December 15, 2017 at 11:59pm CST. Pretty Peas Paperie reserves the right to change or cancel this giveaway at any time. The prizes are not redeemable for cash or credit, but we are happy to transfer them to someone else if you're feeling generous. Pretty Peas Paperie is not responsible if the prize package is lost, damaged, or delayed in the mail. Tracking information is not guaranteed. All members who purchased something during our Christmas Pop-Up (11/7/16-11/20/16) will automatically receive 1 entry. Limit 1 official entry form per person. By the way...how amazing is the donut seal?! I discovered that you can hole punch glue gun sealing wax. (!!!) 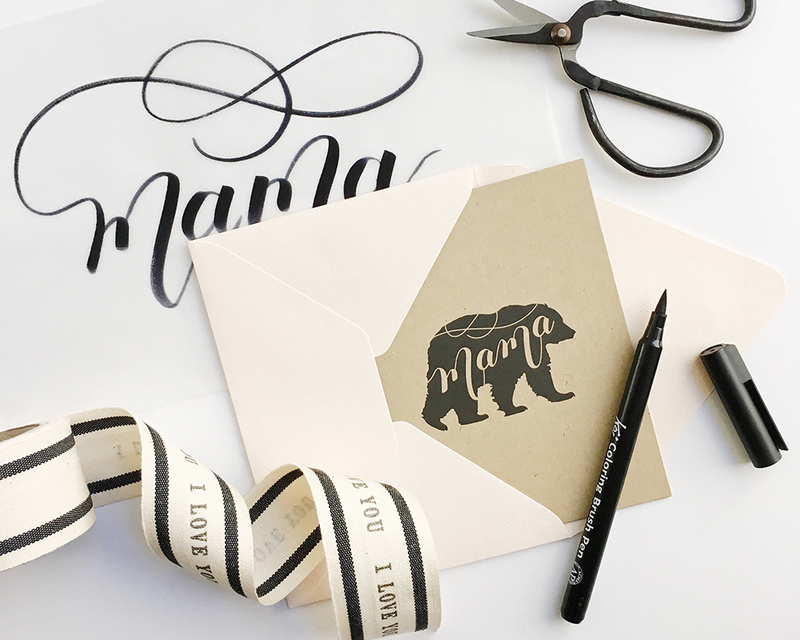 Simply make your seal ahead of time, rather than apply it directly to your envelope. Squeeze the wax onto a non-stick pan, wax paper, or parchment paper...press your wax seal stamp down, and let dry. (It's quick.) 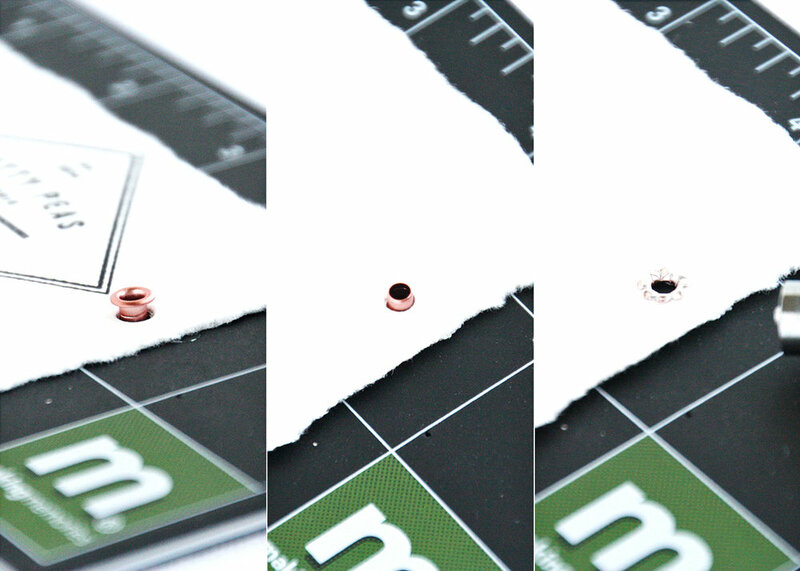 Then, use a standard hole-punch to make your donut hole! Hello, crafters! 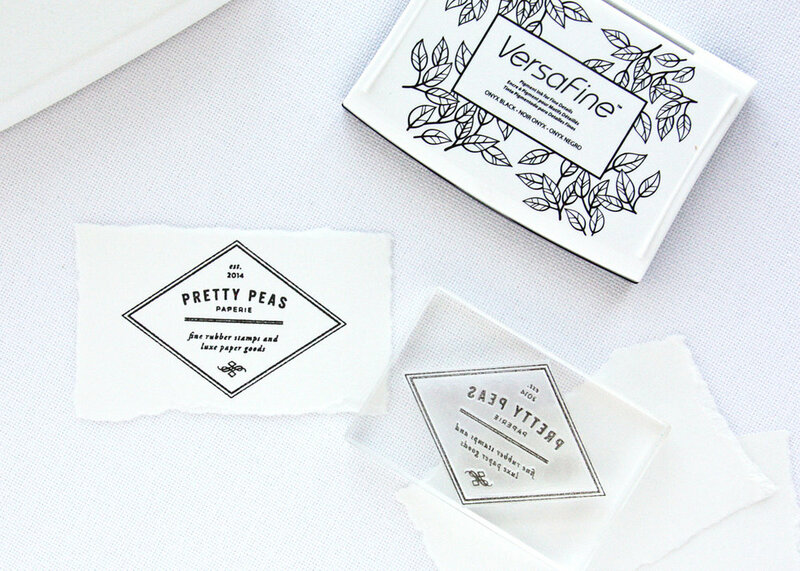 Today I'm going to share with you a DIY packaging project using our new, vintage-inspired, custom rubber stamp. I just LOVE the simplicity of this one...it's a perfect example that luxury packaging can be achieved without a big budget! 2. The type of ink you use is very important. 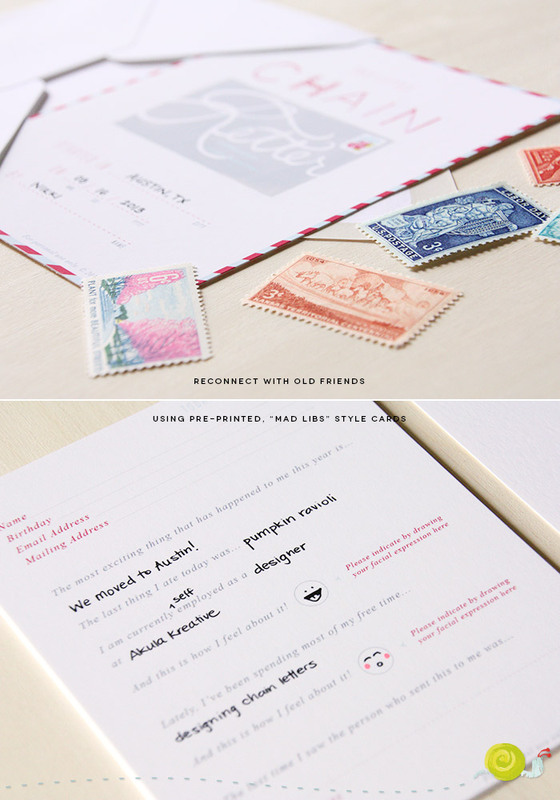 Since this stamp has really small text, the VersaFine for Fine Details pad is perfect. It does a great job of keeping the ink on the surface of the paper and not seeping/smearing/smudging. Blot your stamp into the pad until the design is covered with ink. 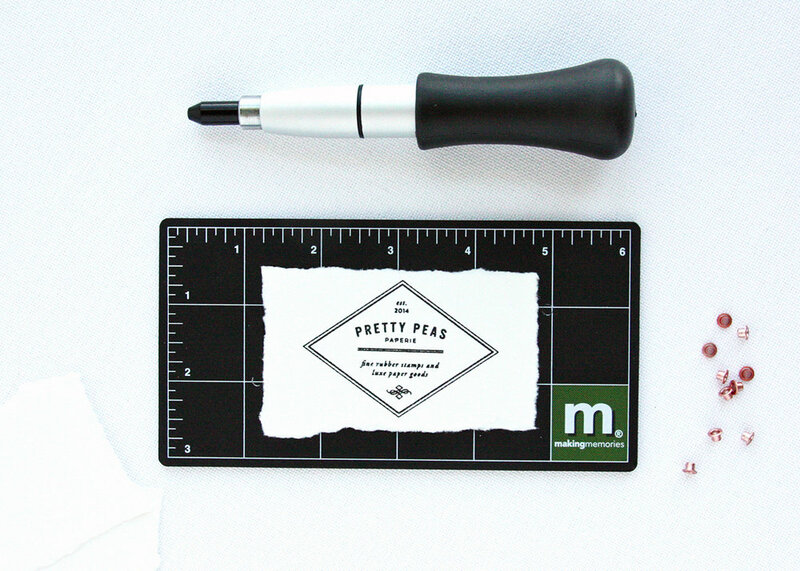 Press gently and evenly onto the paper. After punching a hole on either side of the tag, insert the eyelet, turn the tag over, and punch down with the setter. Once your eyelets are in, thread your twine. 4. Tie your tag around the box and you're done! Isn't is pretty?! Hope you enjoyed this little packaging tutorial! 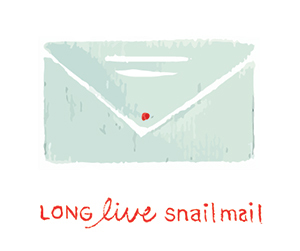 Follow me on Instagram for sneak peeks and stamp giveaways! TAKE ME TO THE STAMP SHOP! Makers and Instagram Lovers, rejoice! If you don't know about Moo's Printfinity, you're missing out. Moo offers beautiful, affordable business cards with an incredible format for showcasing creative work. Printfinity is a business card format in which you can print up to 50 unique images on the backs of your business cards. It's perfect for photographers, artists, and makers who want to share a body of work. First, you choose your business card size. Then, you choose your design option. To design your own using Moo's layouts and editing tool, click "Make." On the front, you lay out your contact info. (This stays the same for your entire pack.) On the back, you can upload up to FIFTY (50!) different images. THE FORMAT. • I have the opportunity to highlight new designs and give customers ideas for how to use my products. (The more useful your business card is, the more likely someone is to keep it.) • I can capture the variety of products I make and share my process. • My pack of cards doubles as a mini, portable portfolio. THE QUALITY. • Paper selection is minimal—you can only choose between "Moo Original Paper" and "Moo Green Paper"—but it's nice. (I work with a LOT of expensive paper, and I honestly really like this stuff. Even the recycled "Green" option is great. It's smooth, with enough weight to give it that high quality feel.) • Moo does a fine job with the digital printing. My images came out clean and crisp. THE PRICE. • Moo business cards start at $19.99 for 50 cards ($0.40 each). It's not the cheapest option around, but it's affordable. It's all about finding the best quality at the best price for your brand and the products/services you sell. Give customers a reason to hold on to your card and look forward to their next purchase! You can even start a frenzy and encourage them to Collect Them All! I hope this was helpful! For the latest and greatest, follow me on Instagram! 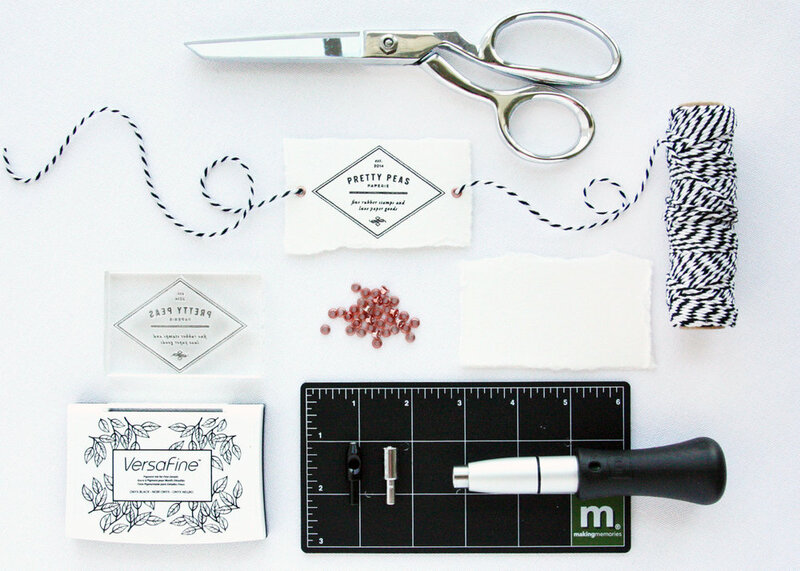 We are SOOOO EXCITED about these hand-stamped watercolor business cards! For more info, head over to our sister site :: Akula Kreative! Just sharing an invitation we made for a law school grad this past month! As inspiration, the client provided an image of medieval scroll paper and a red wax seal, so to create a unique and authentic look we used hand-tea-stained sheets of paper and printed in all black. 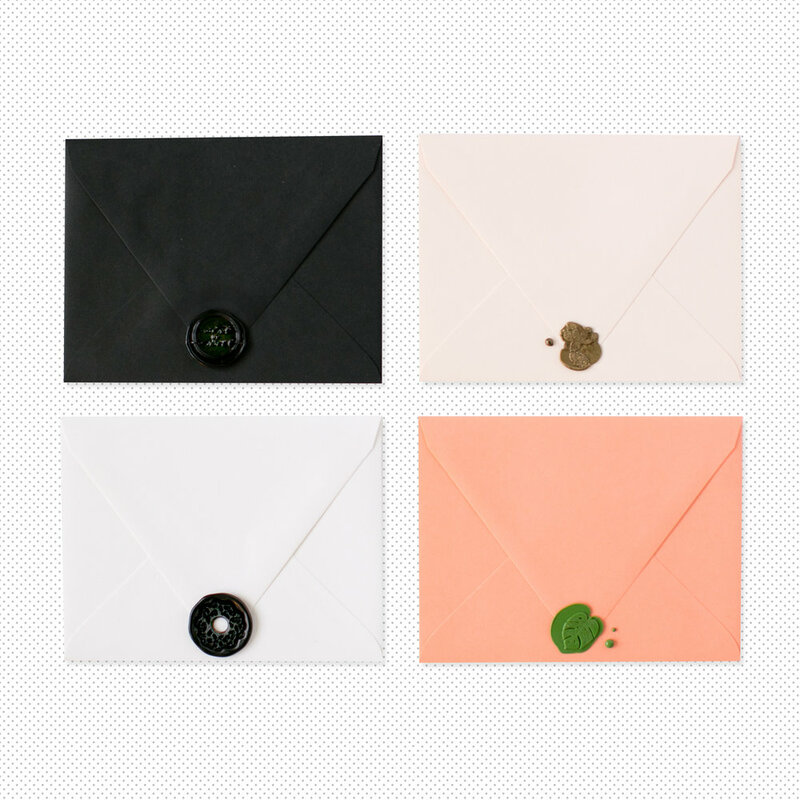 Each envelope was sealed with a mixed black-and-bronze wax seal to coordinate with the masculine theme. It's always exciting to see what people do with our design templates and how they make it their own. Here is a version for a baby's 1st birthday party created by Lesley Cheng in the Philippines. We love the added details of the anchor charm, baker's twine, and extra CRIMPED sail. Thanks for sharing with us, Lesley!!! You really went above and beyond with these invites. The gift certificate has been photo printed on cotton paper and mounted on brocade-patterned card stock that has a lovely, raised, fuzzy texture to it. This particular Enchanted Princess Party is being donated to a local event, but if you're interested in your own fabulous fête, visit the FF online :: www.fairytalefashionista.com ! When my friend Jen came to me for help with a sports-themed (specifically Pittsburgh-Steelers-themed) baby shower, she sounded distraught. The tutu-wearing, fairytale-obsessed Lover of All Things Pink didn't know where to start for a BOY party. But, a couple days later, she came up with an AMAZING concept for a shower favor: a Hershey bar wrapped in a custom label that says "He'll steel your heart." What makes it even more genius is that the HE is exposed in HERSHEY (which, as you may know, is a Pittsburgh claim to fame), leaving the shortened wrapper to finish the thought: "[HE]'LL STEEL YOUR HEART." I helped plan a sports-themed baby shower just last year, so I knew making football paraphernalia "baby-friendly" and delicate wasn't impossible. By starting with the Steelers' colors: black, blue, yellow, and red, I added a baby blue to soften the color palette. After designing the custom label, I couldn't help but make some coordinating cupcake toppers. After all, I've always wanted to make a mini foam finger. Don't ask me why. 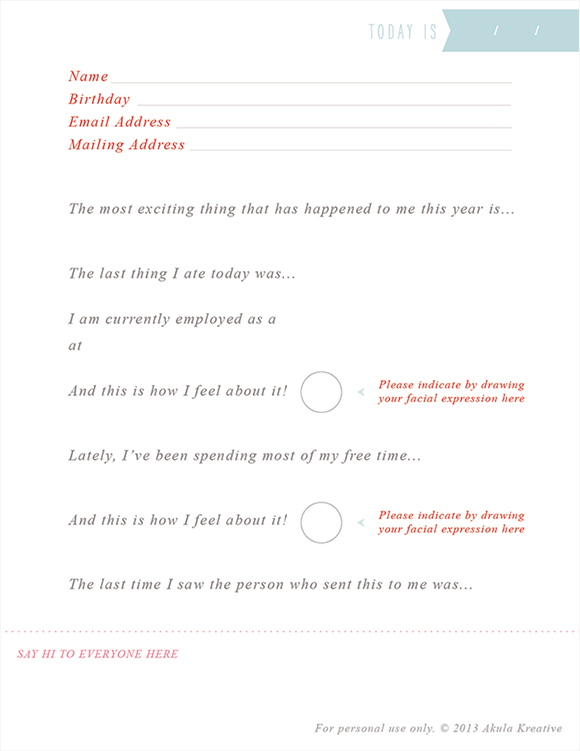 Contact Jen the Fairytale Fashionista to plan, style, and coordinate your next kid-friendly bash, OR contact us to design custom paper goods for your next part-ay!